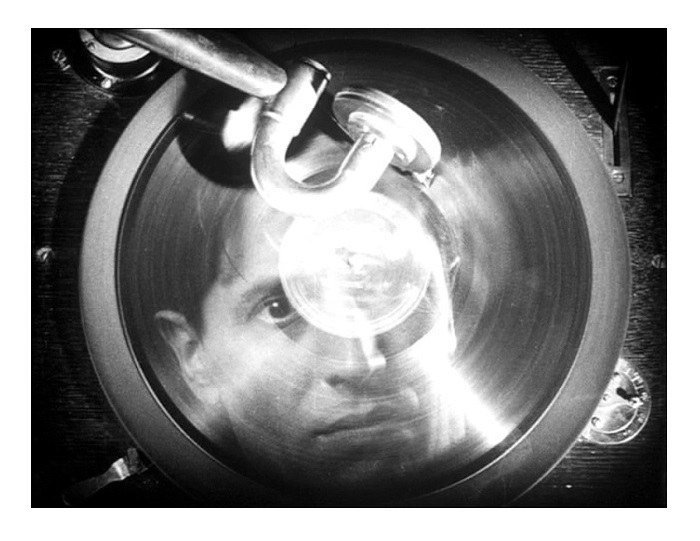 Roddy Berwick, played by Ivor Novello (The Lodger), is expelled from a prestigious school after he willingly takes the rap for his best friend’s misconduct. Shunned by family and friends, Roddy becomes destitute and his life takes even sadder turn after he meets a heartless stage actress. 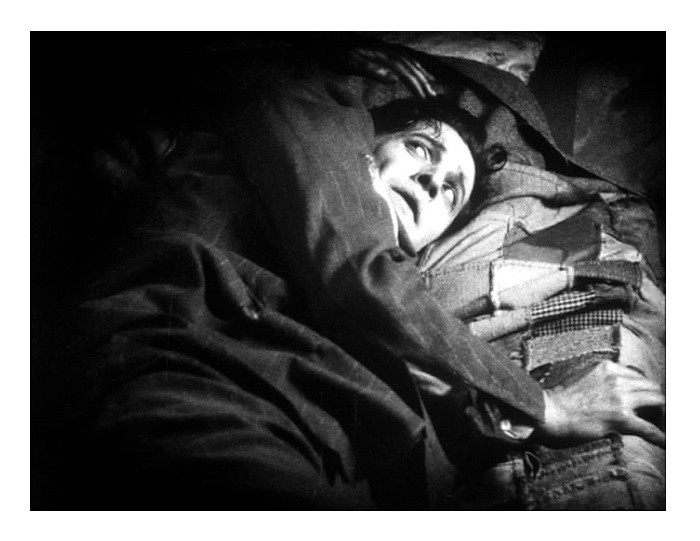 After the monster hit of The Lodger, Hitchcock suddenly became a hot property. 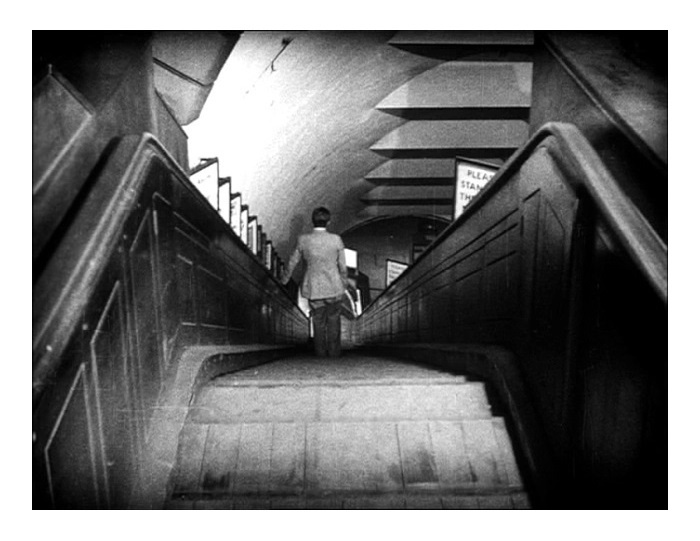 He immediately set his eyes on another company — the newly constructed BIP (British International Pictures) — that would give him greater artistic freedom. The next two films were assignments he reluctantly accepted in order to fulfill his contract with Gainsborough Pictures so he could be free to move on to better things. The first of these films was Downhill. Although Hitchcock spent the rest of his career demonizing this movie, I found Downhill to be quite stylish and inventive. And even though this is a melodrama, not a thriller, the film fits perfectly into the master of suspense’s oeuvre. 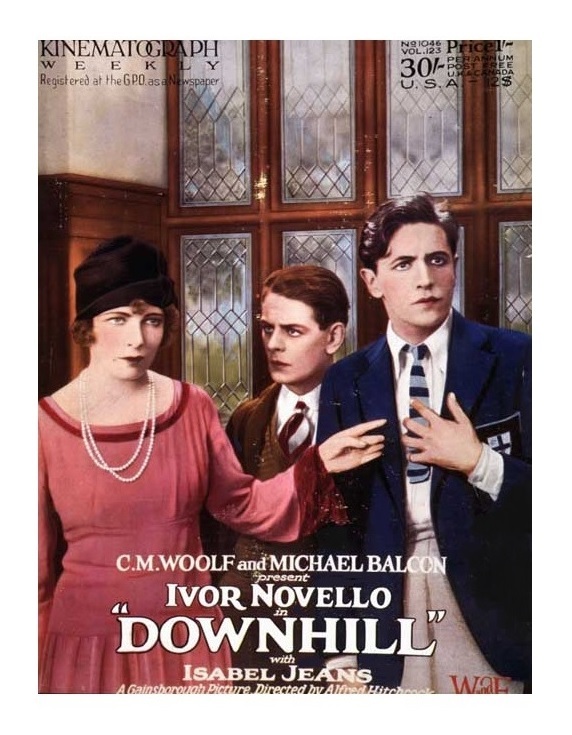 The movie is an adaptation of the play Down Hill, co-written by no other than star Novello. “It was a poor play,” Hitch told Francois Truffaut in the famous 1962 interview. I’m assuming the director never got over the fact that he was forced to make the movie. Hitchcock also complained about Novello not being believable as a schoolboy. I thought the actor was pretty good. He was a popular matinée idol and I think Hitchcock enjoyed putting him through the wringer, the same way he “tortured” James Stewart in Vertigo, Cary Grant in North by Northwest, etc. In his book The Art of Alfred Hitchcock, Hitch’s biographer Donald Spoto said, “Roddy (Novello’s character) is thus grandfather to all Hitchcock heroes who learn that a recognition of their true humanity requires an excursion to the frontiers of their shadowy side.” Roddy’s brutal down-spiral is told in an abstract manner, and it is an approach that, thematically, is intriguing, and visually, is nothing short of riveting. In Downhill, you can clearly see Hitchcock‘s idea of pain as a vehicle to achieve true understanding of the essence of things. The director was Catholic, but there is something Buddha-like about the way he connects suffering, psychological growth, and self-realization. Being agnostic, I don’t know much about religion and/or spirituality, but in this instance, I found Hitchcock’s arguments compelling and worthy of reflection. There are a few moments that will stick out in your mind. First, the film has a glorious sequence near the end where Hitchcock uses what appears to be a hand-held camera, something that looks straight out of a movie by Paul Greengrass (United 93 and Captain Phillips). The second moment I found irresistible was a spooky dream sequence. Hitchcock doesn’t announce the scene is coming by blurring the screen per usual. He goes straight into the nightmare — think of Wes Craven’s A Nightmare on Elm Street — and you are not quite sure where the dream begins/ends. Downhill is a nearly forgotten Hitchcock film. The director himself perpetuated the notion that this is a worthless movie. I beg to differ with Hitchcock — this is a captivating silent movie, especially in the context of Hitch’s career. B&W, Tinted, 82 minutes, Not Rated.